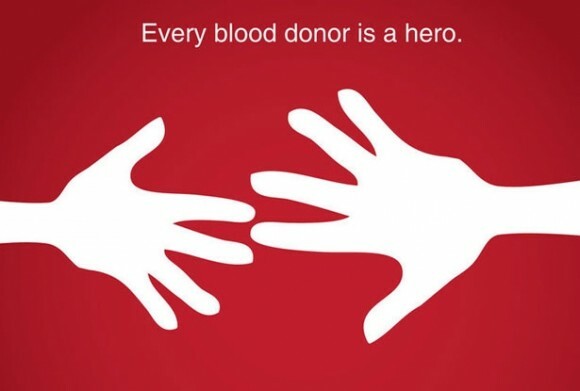 June 14th is World Blood Donor Day. Today, LiveMD helps to inform others on the importance of donating blood and how you can help save the life of someone in need. Why is Donating Blood so Important? A donation of blood can help to save a person’s life. There is no substitute for human blood so if blood is lost or a person is sick, they only way to to replace their blood is with the blood from another person. The need for donated blood is great and since blood can only last for 40 days after collection, the need for blood donors is always there. Donating blood is an easy and relatively painless process that takes approximately 45 minutes. After answering a list of questions and undergoing a short physical examination to make sure that you are healthy and qualify to donate, a unit of blood (approximately 500mls) is taken. A qualified healthcare practitioner will take this blood from a vein in your arm and the actual withdrawal procedure takes about 8 to 10 minutes. Afterwards you should have something to eat and drink and should feel completely normal. Some people may be slightly light headed or dizzy or may feel a bit weak but this is unusual. A healthy person can donate blood every 8 weeks. The theme of this year’s World Blood Donor day is “Blood Connects us All”. We are all united by this fact and at any time in our lives, we or one of our loved ones may be in need of a blood transfusion. By actively donating blood as often as possible, we are ensuring that the blood supply stays high so that it is readily available when we need it. LiveMD wants to encourage everyone who is eligible, to donate blood as regularly as possible. You can help save a life by donating blood today. For more information on donating blood and World Blood Donor Day, visit the World Health Organization’s website by clicking here.